ASUS has officiallt unveiled the ASUS Zenfone 3 Zoom, at CES 2017. The phone has 12 megapixel dual rear cameras, the primary of which is a SONY IMX362 sensor, an f/1.7 aperture, and support for Optical Image Stabilization and Electronic Image Stabilization. There is a Dual-LED real tone flash and an RGB sensor for color accuracy. The cameras use ASUS’ TriTech+ Auto Focus which comprises of a Dual Pixel PDAF, a 2nd generation Laser auto-focus, and a Subject tracking auto-focus for photos and videos, to deliver a 0.03s instant focus. The camera is backed by a Zoom camera, which is also a 12 megapixels sensor with an f/2.0 aperture, a 5p lens, a Focal length of 59mm and supports up to 12 times total zoom, and 2.3 times optical zoom. The front Camera is a 13 megapixels SONY IMX214 sensor, with an f/2.0 aperture and screen flash. 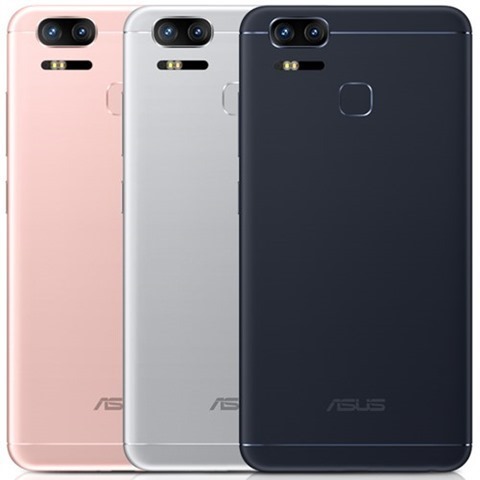 The ASUS ZenFone 3 Zoom sports a 5.5″ Full HD 1080p AMOLED display, protected by Corning Gorilla Glass 5 protection, and has a 76.5% screen-to-body ratio, 100% NTSC high color gamut, 500nits brightness. It has an oleophobic coating to prevent fingerprint and smudges, and has a built-in bluelight filter. The device runs on Zen UI 3.0 based on Android 6.0.1 Marshmallow, and is powered by a Qualcomm Snapdragon 625 Octa-core 2.0 GHz processor with 3GB/4GB of RAM and an Adreno 506 GPU. The phone will come in three storage variants 32GB/64Gb/128GB, supports up to 2TB of expandable memory via a microSD card slot (Hybrid SIM). The phone has a Fingerprint Scanner on the back panel, and has an Infrared sensor too. 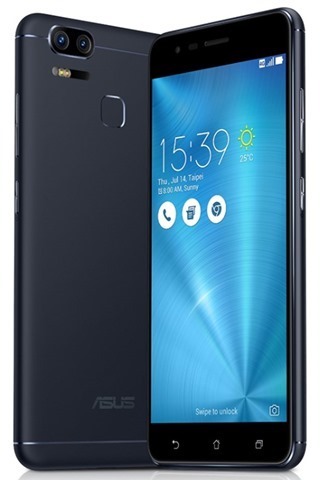 The ASUS ZenFone 3 Zoom is backed by a 5000 mAh battery, which supports reverse charging. There is a 3.5mm audio jack and a USB-Type C connector. ASUS has not announced the pricing and the availability of the Zenfone 3 Zoom .